Mercoria Merino celebrated her 68th birthday last December 12, 2018 so she decided to buy spaghetti after she received her stipend from the Social Pension Program on the same day. Amidst the commercialization of the Yuletide event, an elderly from the countryside reminds everyone of this annual affair’s essence. Mercoria Merino who grew up in Daraga town only finished primary education because of poverty. They can’t even bring their parents to the hospital. Their mother’s condition was not properly diagnosed and she believed that her mother died of pneumonia. Even now, she considers her own family as indigent because of limited revenue from farming. Their income descended because her husband died who mainly worked for them. She has six sons and only one of them lives with her because the rest have their own families. Two of her grandchildren also live with her. Despite these things, Mercoria serves her community without reluctance. She devotes her time as a religion volunteer teacher for the elementary children in their village. She was also elected as the president of the senior citizen’s organization at Brgy. San Ramon, her residence. Mercoria just turned 68 years old last December 12. 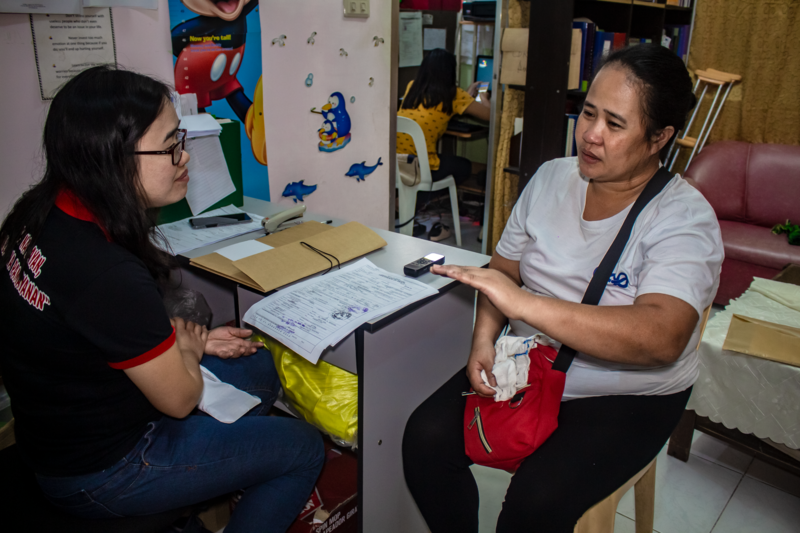 After she got the stipend of P1,500 from the DSWD Social Pension Program payout on the same day, she hurried to the grocery and bought ingredients for spaghetti as her treat for her family. She also bought some supplies before heading home. “Bumili ako ng spaghetti para daw pampahaba ng buhay (I bought spaghetti as a symbol for long life),” she explained. As a Social Pension beneficiary, she also advised her fellow senior citizens to keep the money for the upcoming Christmas celebration. “Mahalaga na magkakasama ang pamilya sa Pasko na may pinagsasaluhan kaya sana, gabayan din ng mga anak ang kanilang magulang kung paano gagastusin ang makukuhang [Social] Pension ngayong buwan (Coming together with a simple feast as a family every Christmas is important, so I hope that the elderly will also be guided by their families on how they will spend the [Social] Pension which is available this month),” Mercoria said. The elderly also encouraged those senior citizens to get their IDs from the local social welfare and development offices (LSWDOs) to enjoy various benefits and discounts from availing goods and services. She also said that children living with their elderly parents should relentlessly manifest support, love and care because they are God-given gifts to each another. Amidst poverty, one can choose to be grateful of the blessing received from the family. The elderly never demands but reciprocating their sacrifices is sufficient to make them feel loved and important during this crucial stage.